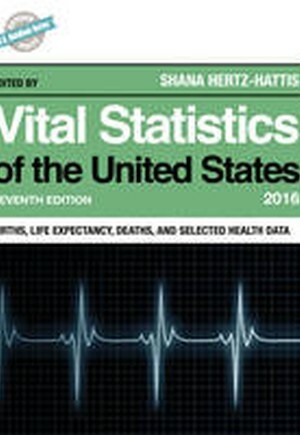 Vital Statistics of The United States: Births, Life Expectancy, Deaths, and Selected Health Data brings together a comprehensive collection of birth, mortality, and health data into a single volume. It provides a wealth of information compiled by the National Center for Health Statistics and other government agencies. Vital Statistics contains over 225 tables and is divided into 4 parts : Births, Mortality, Health, and Marriage and Divorce. Charts and graphs, available at applicable points in each chapter, illustrate some of the most vital trends in the data. In addition, updated definitions reflect the latest federal parameters for information about births, mortality, health, and marriages.